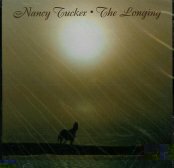 Buy Nancy Tucker Music - all prices include shipping! 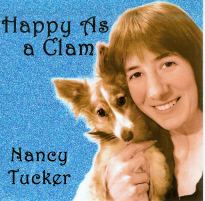 Now available on CD - Happy As A Clam Full of songs for the whole family. A truly intergenerational CD! 12 songs in all. Includes: The Animal Song, One Meatball, The Garden Song, Horse Blues, The Unicorn, Bony Fingers, March of The Mannequins, This Old Guitar, Another Garden Song, Popcorn, Somos El Barco, Why I'm Here in This World. 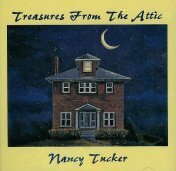 Treasures From The Attic is a collection of Nancy's "Greatest Hits," some rerecorded, some in their original form, and some never recorded before. 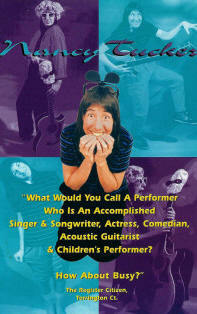 Ballads, humor, parody and instrumentals. Includes: 100 Marbles, This Dance, Only the Wind, Why I'm Here in this World, Climbing the Rainbow, Horse Blues, Steamroller, The Animal Song, Mud Pies, Another Door Opens, I Won't Forget You, Curry Sundown, Everything Reminds Me of My Therapist. Glad That You Asked 15 fun, creative songs for children (and fun-loving adults). On the award-winning A Gentle Wind label. 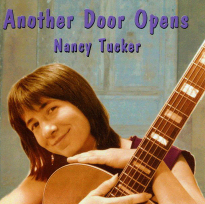 This CD was a finalist in the Children's Music Web Awards and the song "Hairy Harry" placed third in the Mid -Atlantic Song Contest. 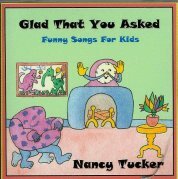 Includes: Piano, Habitat, Fishy Doo-ah, Why Do You Ask, I Was Glad, I'd Love to Be, Don't Croak, Buttons Button, Hairy Harry, I'm Not Too Short, Toes, Corny, Stronger Than Dirt, Watermelon, Lazy Bones. The Longing is filled with beautiful ballads, instrumentals and one humorous song. Includes: The Longing, Flim Flam, Nine Gold Medals, Heart of the Little Horse, Daughters of Feminists, Howl at the Moon, Splintered Glass, Lullaby to a Baby Wolf, Insects on Parade, In this Life, The Howling of Your Heart. 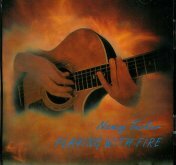 Playing With Fire An all-original, all-finger style acoustic guitar instrumental album. Includes: Mud Pies, March of the Mannequins, I'd Love to Fly Away, Elephant Laundry Day, Storm, I Still Miss the River, Tuck the Handyman, Water Slide, Spanish Mackerel, The Card Shuffler, Curry Sundown, Facade, I Won't Forget You.